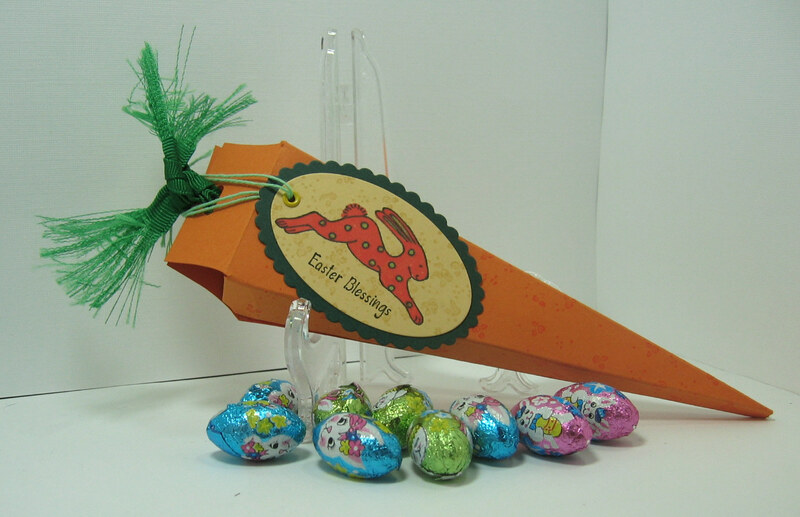 Emily Burnette crated these cute carrot treat boxes for Easter and she is sharing her template with you HERE. Use your favorite patterned paper or keep it all orange for a more authentic carrot look. 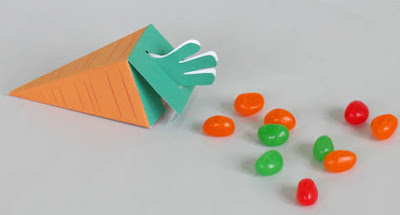 Create with Me has a template for a cute carrot box on her blog too. I love the frayed ribbon on top. Gives it that crafty just picked from the ground look. If you are looking for a more authentic looking carrot, this carrot treat box from Jeromina Juan will probably fit the bill. 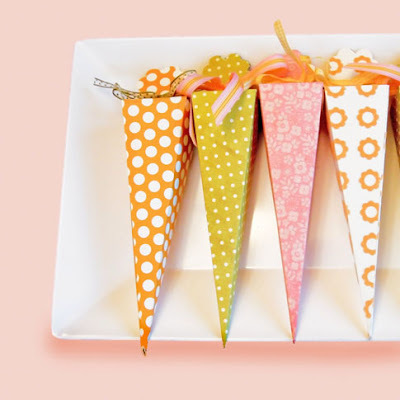 And if you need something smaller, Kate's Paperie has this cute chunky carrot you can download on her blog. Hopefully these cover all of your carrot treat box needs. If not, you might just be a little too picky about your paper carrots, but we can still be friends. I think I need some of these for my sons Easter basket! I've been stumped on what to do for Easter and this wins. Cute & simple. Thanks! I am definitely not that picky! Thanks for all the choices! These look so cute! Are they from Kentucky? 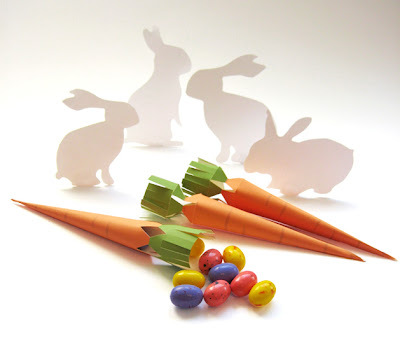 this is so cute and would be a perfect neighborhood Easter gift! Kentucky carrots are my favorite. This would be fun for school treats! I love it, they are so cute. Would love to come on the trip with you!! My kids would love those sweet boxes filled with goodies. Who am I kidding they wouldn't care about the box so much, but I would love them. I'll tell you all about Easter in Kentucky. I like the last two the best. Fun post! Thanks for sharing my carrot box tutorial on your darling blog! Creative and cute posts galore...I'll definitely be back for more! Oh, and I love your 'About Me' page...so fun, made me laugh :) Craziness is always bound to ensue on family road trips!